The line-up will then comprise the catch-up services of a total of 12 German free-to-air channels, offering viewers the possibility to watch full-length TV programmes they missed at any time of their choice. 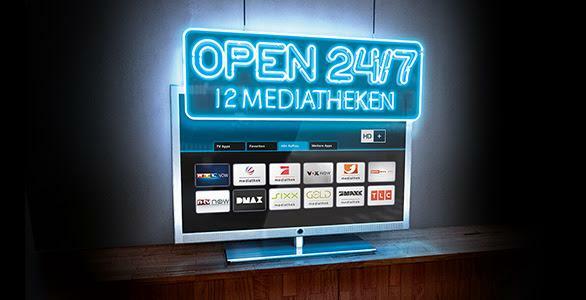 In contrast to access through the open internet, the commercial TV channels’ catch-up services are not free of charge at HD+ RePlay, but they are provided in TV broadcast quality. HD+ RePlay is available on HD+ smart TV receivers as well as on selected connected TV sets from LG which have HD+ RePlay integrated as an app. The precondition is that the satellite receiver or TV set is connected to the internet; the recommended data rate is at least 6Mbps. New customers can test HD+ RePlay at no charge for one month; afterwards access costs €15 for 3 months. A new service is a subscription model for €5 per month with automatic renewal each month if it’s not cancelled. HD+ RePlay can be used without signing up for reception of the encrypted linear HD+ TV package.